As mentioned previously, Fox News has a history of getting information, such as party affiliation, wrong on their broadcasts, intentional, or not. But how many times does it take to not be a coincidence or accident? Rep. Joe Sestak (D-PA) was renamed Rep. 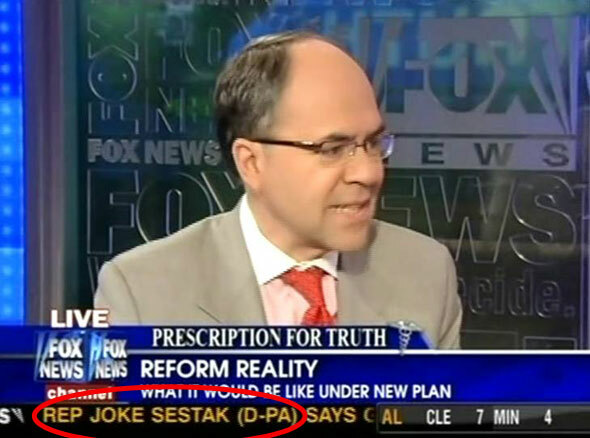 Joke Sestak (D-PA) on the August 17 edition of Fox & Friends. Fox “News” is a joke!